Dogwood Hills Golf Club is an icon in the Lake of the Ozarks golf community. If you like golf, Dogwood Hills Golf Club has it all. The course is challenging, but not overwhelming. Our “golfer friendly” attitude lets players drive to their ball and enjoy a round of golf. The staff is congenial and treats you as if you were a guest in their home. Our intimate, family atmosphere keeps quests coming back year after year. 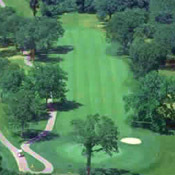 Dogwood Hills Golf Club is the original 18-hole golf course in the Lake of the Ozarks area. Generous Bermuda grass fairways and small, well manicured Bent grass greens make this a great course to play.